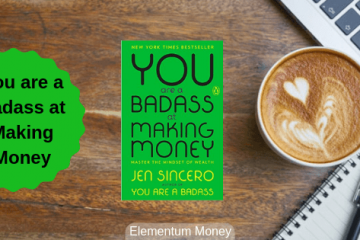 One of the tenets of Personal Finance that I like to follow is KISS or Keep It Simple, Silly. However, once in a while there are some seemingly complicated products that I believe investors should atleast be aware of, if not necessarily have in their portfolio. Some days back, I wrote about how I didn’t think real estate made for a very rational investment avenue. 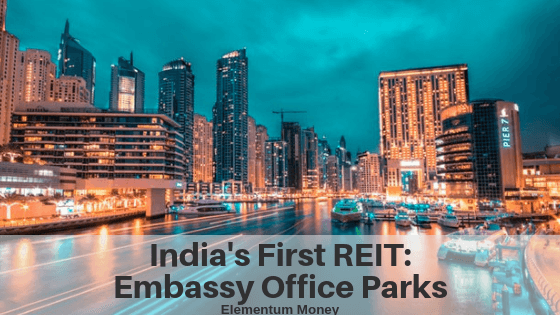 The launch of the first REIT (Real Estate Investment Trust) of Embassy Office Property in India, addresses quite a few loopholes of physical investment for Indian investors. REIT stands for Real Estate Investment Trust. The main aim of REIT is essentially small ticket, crowd-funded, tradeable investment into Real Estate. In a more relatable way, REIT can be looked at as a Real Estate Mutual Fund. While Equity Mutual Funds have stocks of companies as the underlying asset, REITs have investment into rental income generating real estate properties as their underlying asset. For a more technical idea of the product, check out this interesting yet informative Youtube video. REITs came into existence in the 60s in the US as a way to enable the small retail investor an opportunity to invest in real estate. The fact that the first REIT has just been launched in India goes to show the stage of evolution of the financial markets in India today. As per the type of underlying property, today there are various types of REIT, for instance, office parks REIT, warehouse REIT, residential REIT, hospitality REIT etc. In India though, only office parks have gotten approval for REIT. The Embassy Group is a well reputed real estate group, based out of Bengaluru. 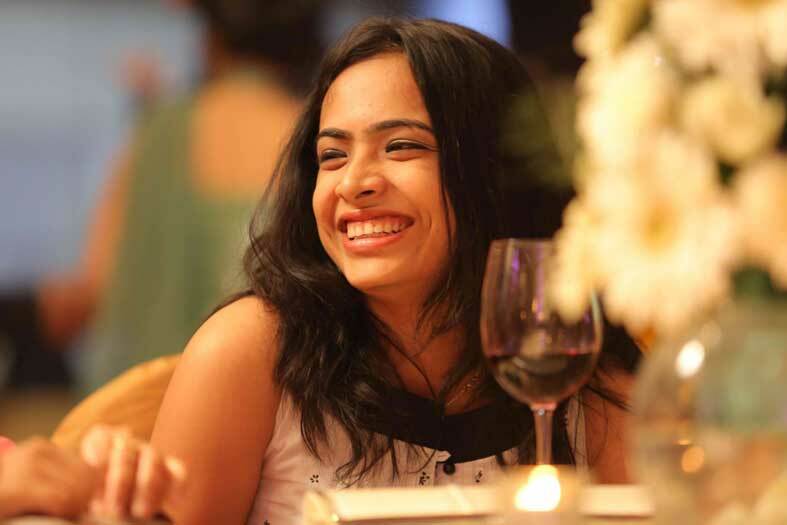 This particular fund has underlying assets of 7 best-in-class office parks and 4 prime city- center office buildings totaling 32.7 million square feet with strategic amenities, including 2 completed and 2 under-construction hotels across Bengaluru, Mumbai, Pune and Noida, as of December 31, 2018. The great part is that the parks have an overall 96% occupancy. The tenants are mostly blue chip MNCs of which 43.4% is occupied by Fortune 500 companies like JP Morgan, Google and Microsoft making for pretty stable tenants. Also, most of the rental contracts are done for a long term, of 9 or more years with year on year inflation built in. As per SEBI regulations, REITs have to invest atleast 80% in income generating properties whereas up to 20% can be invested in permitted forms of investments including under construction properties as well as financial assets in other real estate companies. This product goes one step further with about 89% investment in income generating properties, making it a better return on investment. There will be ensuing cash flows from the investment which will be of three kinds – interest and principal repayment of the refinanced debt and rent from the underlying properties in the form of dividend. Of these, the dividend and the repaid principal would be tax free whereas the interest would be fully taxed. Commercial property in India today yields in the range of 7-9% per annum along with a capital appreciation of about 4% per annum. Shobhit Agarwal of Anarock Capital believes the fund should yield a return of 14% per annum with a recommended holding period of about 5 years. Essentially, this is a more stable investment with returns middling between debt and equity. The inaugural issue is priced at Rs. 299-300 with the minimum investment lot size of 800 units (Approximately Rs. 2,40,000) and thereafter in multiples of 400 units (Rs. 1,20,000). So, for any initial investment into the fund, you would need to invest Rs. 2,40,000. The good news is that we can expect the limit to go down with the other upcoming REITs. While Rs. 2.4 Lakh is a big amount, if an investor is looking to own a commercial real estate property especially in main Metro towns, the amount is a pittance. Getting to be a part owner of bluechip occupied office park property is a great opportunity. If you have enough investment into equity and debt, then this is one product you must consider as an instrument of diversification. Even if you have investment into physical real estate, investing into REIT can still be a good idea with exposure to good quality commercial real estate. This to me is one of the biggest benefits of investing into real estate by the REIT route. Once the units are allocated, the fund will be listed and the units can be traded. The price of the market units will depend on the capital appreciation. Being a globally successful financial product, India’s first REIT is one product that a lot of investors have keenly waited for. Since the basics have worked in mature financial markets, it is expected that the product will work in the Indian market as well. In investing, risk and return are the classical yin and yang. So, if there are the above pros, you really can’t escape the possible risks. This is India’s first REIT, with no historical trend backing it in this market. Most new products or processes experience teething issues and Embassy Office Parks REIT is highly probable to do the same. While liquidity is a big benefit of REITs, the probability of being able to sell an asset exists only till the time you can find matching buyers for the product. Till the time the market for REITs on the whole expands, the traded volume in the instrument is expected to be low. Real estate as an asset class is volatile and has been going through quite a slump in the last few years. The risk that real estate may not appreciate in the expected way is a probability that must be accounted for. REIT investors see their returns through cash flows in the form of dividends and interest as well as capital appreciation for the traded REIT units. 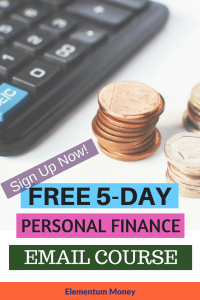 Of dividend and interest, dividend is tax free while interest is fully taxed. What would be the bifurcation of dividend and interest as well as the taxability on dividend, tax and capital gains on sale of units will become more clear only as the product gets under way. Thus, the product mechanics of the product class as a whole would be much better understood once the product is launched. In case you are confused, trust me that was not the intent. With any investment option, as a prudent investor, it is essential to weigh all possible factors before arriving at a solution. As for my personal opinion, while I am excited about the prospect of India finally getting it’s own REIT. I am in the wait and watch category considering the Rs. 2.5 Lakh is not experimental money for me. Embassy Office Parks is only bound to sprout more offerings in the REIT market. However, for anyone looking for diversification in their portfolio, India’s first REIT is worth a shot. What do you think? Are you queuing up to be allocated some units in the Embassy Office Parks REIT? Let me know your thoughts in the comments below.